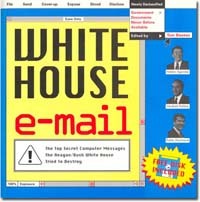 Washington DC, November 13, 2007 -A federal judge yesterday ordered the Executive Office of the President to preserve all e-mail backup media in its possession, or under its custody or control, under conditions that will preserve its eventual use. The Order came in two cases, consolidated today, that seek to enforce the Executive Office of the President’s, and its component agencies’, Federal Records Act obligations. The two cases were separately filed by the National Security Archive and Citizens for Responsibility and Ethics in Washington (CREW) after it was disclosed in April 2007 that the White House had ceased archiving its e-mails in 2003.